Arrange your treatment with Peppermint Group, and you put yourself under the skilled care of multi-award winning, published and uniquely skilled doctors, trained by the leaders in their fields. It takes something special to be shortlisted for Best Aesthetic Practitioner and Best Cosmetic Dentist at the prestigious Scottish Hair and Beauty Awards. It takes even more to win. Again, and again. Behind our multiple wins and numerous finalist positions is Dr Rita, founder of the Peppermint Group. 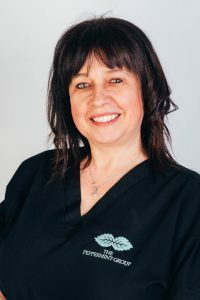 Dr Rita’s passion for and expertise in cosmetic treatments stretches back many years, and she has remained at the forefront of bringing pioneering techniques and treatments to Scotland. She was the first (and to date, only) clinician in Scotland certified to deliver the ZO Controlled Depth Peel and 3 Step Peel, and the only practitioner in Scotland to train with Dr Zein Obagi, the world-renowned Beverley Hills-based dermatologist. She is ranked among the top 10 aesthetic clinicians in Scotland for injectables by Allergan, having been trained in facial aesthetics by Taimur Shoaib and David Eccleston in the UK, and by world famous plastic surgeons Mauricio de Maio and Arthur Swift at Allergan’s international faculty. A regular spokesperson for the BBC Asian Network on dental and health related issues, Dr Rita is also the former chair of the Scottish Circle, an initiative founded by Annie Lennox that has raised over a quarter of a million pounds to help enterprising women at home and abroad. It was while training to become a GP in 2009 that Dr Ravi first discovered a fascination with facial aesthetics. So intrigued was he by the possibilities of Anti Wrinkle Injections that he took a break from his GP studies to complete his facial aesthetics training. 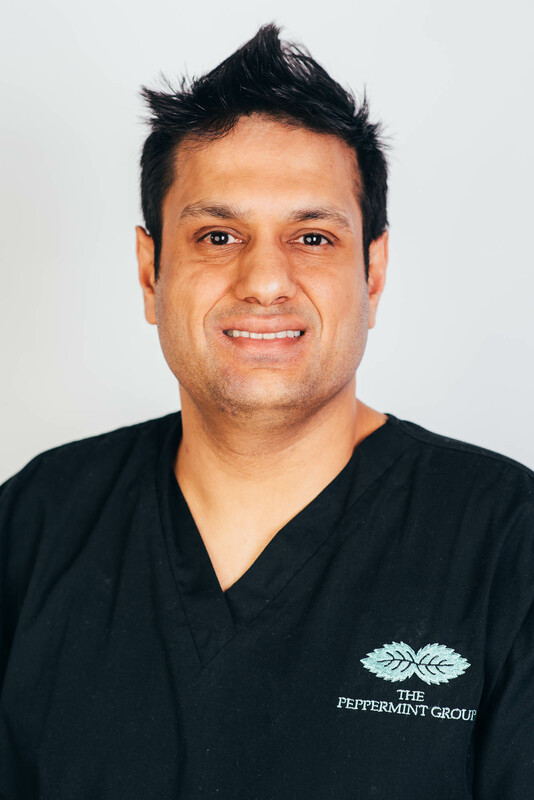 Although he returned to finish his GP studies (he is now a GP Partner in Ayrshire), Dr Ravi has continued to advance his cosmetic skills, including the Anti Wrinkle Injections treatment of hyperhidrosis (excessive sweating) with Taimur Shoaib at Allergan’s UK faculty. Dr Ravi has also trained with Professor Bob Khanna, a world-renowned leader in platelet-rich plasma for hair loss; trained in facial rejuvenation, wrinkle improvement, eyelid treatments and acne treatments; and the latest techniques in non-surgical facelifts using PDO threads. By the time Dr Greig graduated from the University of Glasgow Dental School in 2001 he had already won prizes for his elective work in oral and maxillofacial surgery, and had his work in this area published. 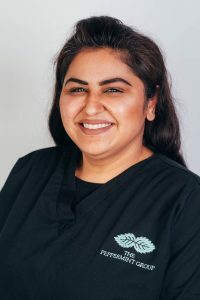 Since 2004, he has worked continuously in private dental practice in Glasgow and the West of Scotland. 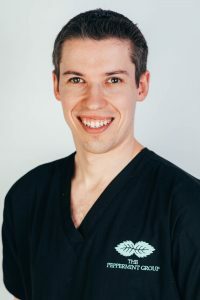 Dr Greig’s main interests are cosmetic dentistry, dental implants, surgical dentistry and sedation for anxious patients. His expertise led to his appointment as postgraduate examiner for the Dental Surgery of the Royal College of Physicians & Surgeons in Glasgow, and he has taught on several Maxillofacial & General Surgical courses. At Peppermint, Dr Greig creates implant-based and other dental solutions for our patients, including single tooth and ‘all on 4’ implants. In every case, the care and treatment Dr Greig provides are tailored to each patient, their condition and their wishes. 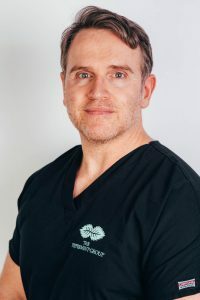 Dr David Pearson provides a wide range of dental treatment from routine to cosmetic and has special interests in dental implants and short term adult orthodontics. He graduated in Dentistry in 2003 from the University of Glasgow and in 2007 was awarded the MFGDP by the Royal College of Surgeons of England. He is a full member of the British Academy of Cosmetic Dentistry and also the Association of Dental Implantology. He regularly attends continuing professional development courses to keep up to date with the latest dental treatment options. Dr Pearson has worked in private practice both in the UK and in Asia and strives to provide patients with an exceptional level of dental care. Outside of work, most of his free time is spent with his two young children but he also enjoys travel, running and playing football! RDN Diploma in Practice Management, winner of business of the year at Scottish Dental Awards 2016.